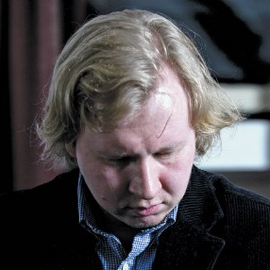 The Russian-born award-winning pianist, YURY SHADRIN was born in the city of Perm and was accepted into the Special School for Gifted Children in Novosibirsk at the age of 12 in 1992. By 1994, he had won both the Siberian and International Piano competitions in Rome, resulting in a European recital tour which took him to Germany, France, Italy and Switzerland and a subsequent appearance with the Novosibirsk Philharmonic Orchestra. In 1996, Mr. Shadrin entered the Moscow Conservatory where he studied with Lev Naumov and Eliso Virsaladze for 6 years before moving to the United States and the Oberlin Conservatory where he became the pupil of Monique Duphil and enrolled in the schools Artist Diploma program in 2003. During his three-year stay, he made his debut at Washingtons Kennedy Center. In 2006, he moved to Yale to work with Peter Frankl, followed by studies with Leon Fleisher at the Peabody Institute.